The heavily regulated healthcare industry is replete with potential pitfalls for medical professionals and institutions, with the threat of criminal proceedings or loss of professional license among a host of devastating potential outcomes. The health law attorneys at Todd & Weld LLP regularly counsel and defend medical professionals, companies, and institutions in a wide range of proceedings, and proactively advise them on regulatory compliance to circumvent potential violations. Our Health Law attorneys are part of and supported by the highly accomplished Government Investigations and Criminal Defense practice group of the firm. Our attorneys defend clients embroiled in government investigations and prosecutions involving allegations of federal and state healthcare compliance violations, including those related to anti-kickback laws, the False Claims Act, billing fraud, Stark Law violations, and exclusions from Medicaid (MassHealth) and Medicare. 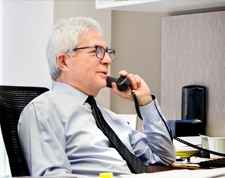 We routinely counsel clients in investigations conducted by the U.S. Department of Justice (DOJ), U.S. Food and Drug Administration (FDA), Drug Enforcement Agency (DEA), Office of Inspector General of Health and Human Services (HHS OIG), Centers for Medicare and Medicaid Services (CMS), United States Attorney’s Offices, the Massachusetts Attorney General's Medicaid Fraud Division, and other federal and local government agencies. These investigations often first surface through a civil investigative demand, HIPAA subpoena, or grand jury subpoena. We counsel physicians and pharmacists on compliance with the Massachusetts Prescription Monitoring Program, including the prescribing and dispensing of opioids. We also assist clients before they are targeted by conducting internal investigations to identify problems before they become liabilities. We can isolate concerns and help to correct them, and help clients avoid government enforcement actions. If necessary, we can also help clients with self-reporting and other types of voluntary disclosures to the government. Medical professionals facing challenges to their licenses and accreditation regularly turn to Todd & Weld attorneys to represent them before the various licensing boards in Massachusetts, including the Board of Registration in Medicine. We have the collective knowledge and experience that can often make the difference between a positive and negative outcome in a disciplinary or licensing proceeding. Our intimate knowledge of each board's structure, policies and procedures is a critical component of effective advocacy when a medical professional's license and reputation is on the line. The advice of counsel at the earliest opportunity in these matters can be essential to a successful resolution. Todd & Weld health law attorneys represent medical professionals involved in peer review proceedings, helping them to avoid loss of privileges or other disciplinary outcomes. Hospital-based peer reviews are deceptively informal and can quickly escalate. The consequences can be potentially devastating to a medical professional's reputation and practice, including institutional sanctions, suspension of privileges, and referral to the Board of Registration. A billing audit by the government or third party administrator can be arduous, disruptive, and costly. We prepare our healthcare clients faced with an audit, and work with them every step of the way to ensure the process effectively identifies all of the information available to support their billing and coding decisions. We deploy our deep knowledge of the applicable provider regulations to oversee the auditors’ coverage determinations and to avoid recoupment demands. The best medicine for preventing enforcement or disciplinary proceedings is a proactive, effective compliance process. Our attorneys regularly advise medical professionals and institutions on a variety of issues associated with healthcare regulatory issues. We conduct internal investigations to pinpoint potential compliance problems and to develop an effective prevention program or practice management plan. We insure that corporate compliance programs address specific "hot button" regulatory issues.